This manual came about after repeating dealing with comments and attitudes from *some* white women who for better lack of words are ignorant about the asian black community aka the blasian community. Since I'm one of the bold ones who promote this community across the racial war lines then I hear, see and have to deal with some *ahem* interesting comments and attitudes. Well now I have to way to educated *some* white women and save them from making the very bad mistake of getting on my last never and thus getting told off and put back into their place. You see it's not my aim to alienate *some* white women or to threaten them with a virtual beat down. I'm really a peace loving women who's trying to gain info and spread the love by being in online communities that highlight families that are half asian . But *some* white women seem to feel the need to speak out of turn and make some interesting statements. For these woman this manual is here for you. Lets start! Second, please refrain from sayn that couples, children and families within this community are so "rare and special". This comment will only make it seem like your socially stunted and you'll be the cause of great amusement to the blasian couples, children and families you made this comment to. 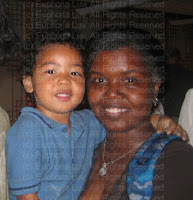 Third, Do not, I repeat do not tell a black or asian mother with a blasian child...your a mom just like me and I totally undertand what it's like to rasie a half asian child. I know you have good intentions and want to bond but WE ARE NOT MOMS JUST LIKE YOU plus HALF BLACK AND ASIAN KIDS ARE DIFFERENT THEN HALF WHITE AND ASIAN KIDS. Please understand this is no offense to you or your children but this is the reality. Our kids are not the same because their half asian. Trust me when I say this and you'll save yourself from being yelled at. Fourth, and I hate to point this out but it needs to be done. Understand that asking a black/asian mother you see outside and feel the need to randomly stop and start questioning...if she's the babysitter, an adoptee or the step mom is not something to be done in the first conversation, 20th or ever. Fifth, If a black/asain mother doesn't wish to discuss her background, her child heritage or anything about her husband, her life, or what she's having for lunch...do not be quick to assume and boldly tell her she's being defensive or has an attitude. We have the right to our privacy and don't have to talk to you...if we choose. Your not entitled to know anything about another person's life. Our sixth helpful tip is very important so pay attention. If you see the id euphorialuv while your surfing around the web, interracial asian forum or mixed korean group and feel the need to say hello then say hello BUT if you feel the need to point out how white women are being reversal discriminatation and shut out because of the promotion of the black and asian community I strongly suggest you don't do it. I repeat don't do it and here's why. "part of the race problem and unless you have another reason for looking for blacks/asians that I haven’t fathomed, I’d like to be a part of your group even though my skin isn’t black... "
Yeah, someone wrote that to me. So these are just some quick helpful tips to help *some* white women learn and understand more about the asian black aka blasian community and to save me from giving virtual beat downs. Don't worry ladies, there's lots more tips that I'll be sure to add to this list so keep you notepads and pencil in easy reach. Thank you for reading! Wow, some people just don't know when to shut their mouths. It's unbelievable that you have to go thru that. Keep your head up and forget about the negativity--because you don't need that crap!! I agree so much especially on #3 and #6. The thing some people don't understand is that although people try to avoid talking about it Asian/Caucasian families with babies are accepted more and held up more as a standard of beauty "everyone wants a Eurasian child". There are so many more Eurasian pride websites that can also be accused of socially excluding would be Black supporters, but for different reasons. Most of them find Eurasians that look more caucasian most desirable, but will comment on Black/Asian babies who look more Asian and less Black as the most desirable. See the difference? If you go to such groups as a Black or Blasian person you are most likely are some point or another you will be rudely awakened to the reality of it by some Asian or White purist. Racism is still alive and well. Also, for every white person that complains about being mistreated or having issues with being white, their struggles and dealing with asian prejudice. Listen, those asians would take White before Black anyday. I'm not saying their experiences are insignificant but not all struggles are equal, which is why they cannot possibly relate only sympathise. I know this was long but it had to be addressed because people are so quick to call the creation of Black-Asian groups/communities racist, when Caucasian-Asian groups/communities outnumber these by a long shot and can be hostile, providing a haven for racists that use it as place to talk about how inferior other races / mixes are and to mock such unions. What's pathetic is other members rarely correct them or chastise them for it. I think people need to be Honest with themselves. hi nikki, i stumbled upon your blog and will begin following. I certainly understand your frustration but without justifying anyone's ignorance I have never heard the term blasian until today and I am half black/Japanese. Amen. I love your candor. #4 #4 #4!! For everyone in the whole world. I baby-sat a little girl for 2 years, her parents were from Africa, went to college, had great jobs and still people felt the need to come up to me and ask me if she was my foster child. Lol...I see what you mean about being outspoken with white women. Yes, all these points ring true though! I've only been blogging since January and prior to that I wasn't really an online person, so I'm getting very savvy and discovering all the diverse communities out there. The Blasian community is one that's still new to me and I'm discovering your blog and so many others, which is great, because in many ways, there are many fresh perspectives, that while you may talk about them in real life, it can get pretty sensitive. I think talking on a blog about certain topics can sometimes be more helpful, since...like you mention here...a lot of other people like to shut you down or call you out as racist. Lol I love your blog! I am a Korean &white mom with a half black daughter and I hate when I get what is she mixed with. She has Korean looking eyes, sometime, like my mom curly hair like my white grandfather,(he had a white mans fro) & is honey brown looking like her dad. My father always tells people when they asked what she is, "a girl" and then the follow up is always but where is she from, "shes american" after that he gives them a look and that is it. Why do people assume asking these dumb questions is appropriate? !